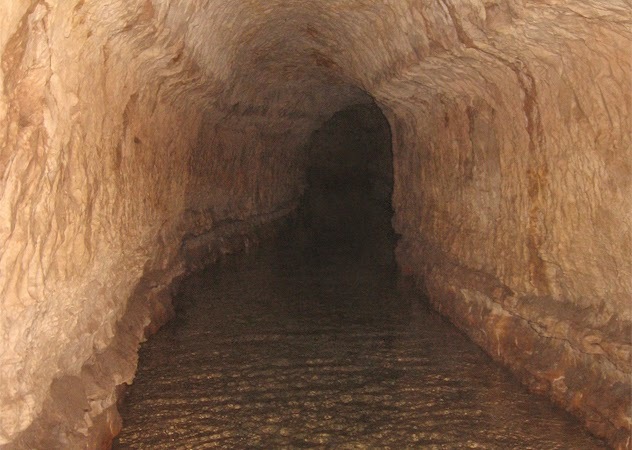 The Qanat Firaun, otherwise known as the Gadara Aqueduct, is an ancient aqueduct that was built to supply water to the Roman-Hellenistic Decapolis, which now lie in present-day Syria and Jordan. Although the Arabic name ‘Qanat Firaun’ means ‘Canal of the Pharaohs’, the massive canal was not Egyptian but Imperial Roman, and stands as a testament to their incredible engineering abilities. The 170-kilometre pipeline is not only the world’s longest underground aqueduct of the antiquity, it is also the most complex, and represents a colossal work of hydroengineering. The Decapolis was a group of ten cities on the eastern frontier of the Roman Empire, which were grouped together because of their language, culture, location, and political status, with each possessing a certain degree of autonomy and self-rule. Its capital, Gadara, was home to more than 50,000 people and became distinguished for its cosmopolitan atmosphere, its own 'university' with scholars, attracting writers, artists, philosophers and poets. But something was missing in this wealthy city – an abundance of water. The Gadara Aqueduct changed all that. “In the capital alone there were thousands of fountains, drinking troughs and thermal baths. Rich senators refreshed themselves in private pools and decorated their gardens with cooling grottos. The result was a record daily consumption of over 500 litres of water per capita,” said Matthias Schulz, author of a report about the aqueduct in Spiegel Online. 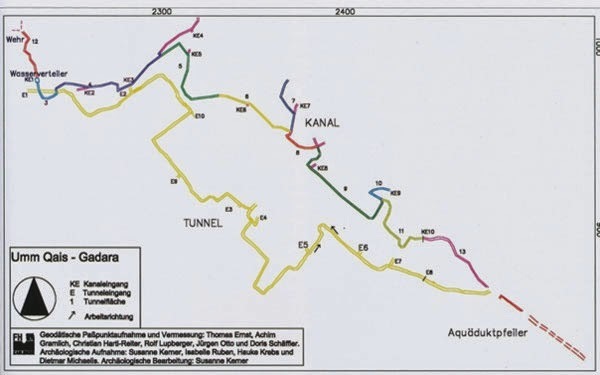 The underground canal system was rediscovered by Mathias Döring, a hydromechanics professor in Darmstadt, Germany, in 2004. Excavations revealed that the pipelines were constructed with an average height of 2.5 metres and a width of 1.5 metres. The aqueduct extended for 64 kilometres on the surface, before disappearing underground into three separate tunnels, with lengths of 1, 11, and 94 kilometres. 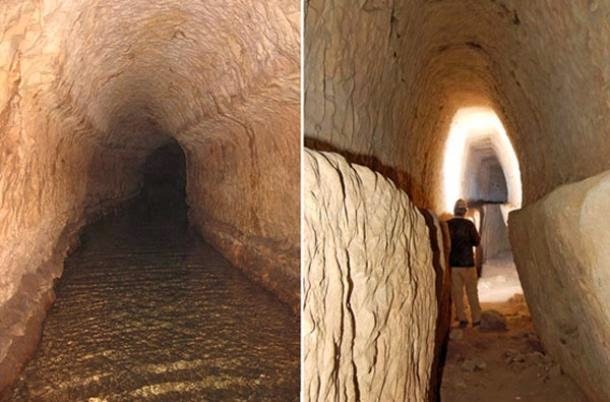 The longest previously known underground water channel of the ancient world, in Bologna, is 19 kilometres long, so the discovery of the Gadara Aqueduct, and the sheer scale of the construction, was met with both shock and awe. Plan of the upper and lower tunnel system under the acropolis of Gadara. The massive construction effort began in around 90 AD and continued relentlessly for the following 120 years. It started above ground in Syria, where they made rapid progress. However, as they entered Jordan, the workers and engineers were met with enormous obstacles, the first of which was a 200-metre chasm. They attempted to build around it but the rough terrain made it impossible to continue over the surface, so they carved an underground channel through a rocky mountain, which continued for 11 kilometres. Beyond this, they were faced with an endless succession of hills and steep slopes and, if they were to continue underground, they needed to find a way to provide adequate ventilation inside the tunnels. To overcome this problem, they built sloping shafts into the rock every 20 to 200 metres. These provided fresh air and enabled hundreds of men to work simultaneously in different sections of the tunnel. More than 300 access tunnels leading down to the main canal have been found so far. The construction of the aqueduct demonstrates remarkable precision. 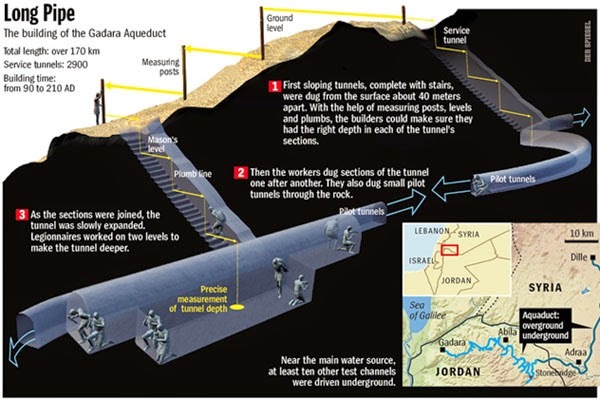 The gradient of the tunnel was found to be 0.3 per thousand, meaning that it dropped only 30 centimetres per kilometre – an amazingly shallow angle of decent. Along the main road of Gadara, archaeologists found basal pressure piles which suggested a siphon structure in order to supply the western outskirts of the city with fresh water, supposedly from sources 100 kilometres away. By the time work ceased on the aqueduct, workers had excavated over 600,000 cubic metres of limestone, comparable to more than a full quarter of the Great Pyramid’s total volume. However, despite this remarkable feat of engineering, the Garadar Aqueduct was never fully completed and was put into service only in sections. The original plan called for the water to fill a high stone reservoir that would feed the city's fountains and the planned temple to the nymphs. But that never happened. The surveyors ended up making a number of miscalculations and the water - after over 170 kilometers - arrived in Gadara slightly too low for the grand plans. As Mr Schulz explains, “nothing created by the hand of man is ever perfect”.